Sometimes I take a moment write down the curious things I’ve seen in a single day, and challenge myself to turn one of them into a work of fiction. A chain of children linked by a blue rope, each clinging to a knot like a memory tied. 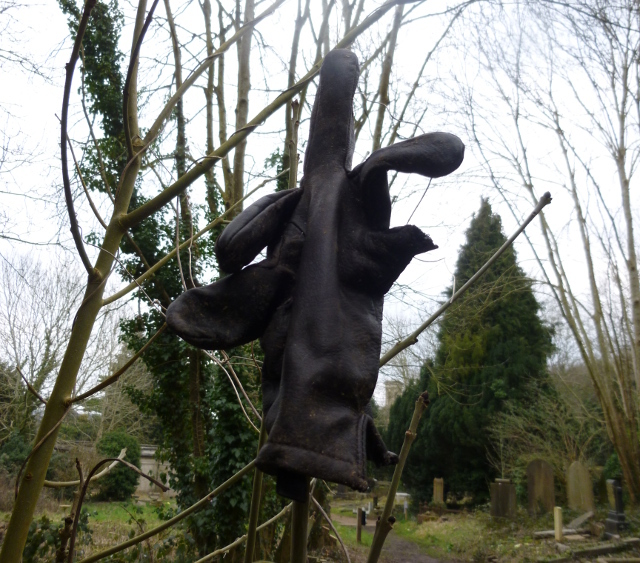 A black leather glove on a sapling’s spike, one finger giving a jaunty wave to the sky. A young man walking a small black dog, flustered by its uninvited interest in strangers. Why not either create your own list of glimpsed scenes or take one of these and turn it into the beginning of a tale?